George Wyatt, the youngest son of Sir Thomas Wyatt and Jane Wyatt, was born at Allington Castle, near Maidstone, in 1553. 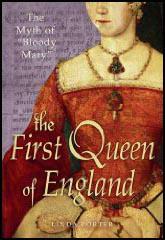 (1) His father had led a rebellion against Queen Mary in January 1554 in an attempt to prevent Mary's marriage to Philip of Spain. Based at Rochester Castle, Wyatt soon had fifteen hundred men under his command. 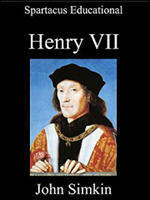 Thomas Howard, 3rd Duke of Norfolk, aged 80, agreed to lead the Queen's army against the rising led by Wyatt. As David Loades, the author of Mary Tudor (2012), pointed out "that venerable warrior, the Duke of Norfolk, set out from London with a hastily assembled force to confront what was now clearly a rebellion". (2) Unfortunately, most of Norfolk's troops consisted of the London militia, who were strongly sympathetic to Wyatt. On the 29th January, 1554, they deserted in large numbers, and Norfolk was forced to retreat with the soldiers who were left. When Mary heard about Wyatt's actions, she issued a pardon to his followers if they returned to their homes within twenty-four hours. Some of his men took up the offer. However, when a large number of the army were sent to arrest Wyatt, they changed sides Wyatt now controlled a force of 4,000 men and he now felt strong enough to march on London. George Wyatt was the obscure son of a famous father, and the obscure father of famous sons. Hawte, who died in 1638, was the father of Edward, the progenitor of the Virginia Wiatts, and Wyatt's son Sir Francis Wyatt, who died in 1644, was the first royal governor of Virginia. George's main claim to fame is the papers which he wrote and collected in the latter part of his life, which provide some vivid and proximate insights into the careers of his father and grandfather, and into the military problems of late sixteenth- and early seventeenth-century England. 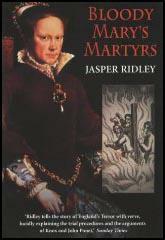 One of the most interesting is his eulogistic treatise in defence of Anne Boleyn (c.1605)... Virtually everything which is known about George Wyatt derives from these papers, and particularly those which were put together into a commonplace book by his descendant Richard Wyatt in 1727. This commonplace book was edited for the Camden Society by David Loades in 1968. Anne's charm lay not so much in her physical appearance as in her vivacious personality, her gracefulness, her quick wit and other accomplishments. She was petite in stature, and had an appealing fragility about her. Her eyes were black and her hair dark brown and of great length; often, she would wear it interlaced with jewels, loose down her back. But she was not pretty, nor did her looks conform to the fashionable ideals of her time. She had small breasts when it was fashionable to have a voluptuous figure, and in a period when pale complexions were much admired, she was sallow, even swarthy, with small moles on her body. George Wyatt says she had a large Adam's apple, like a man's... Wyatt, grandson of the poet Thomas Wyatt and Anne's first biographer, who compiled his work at the end of the sixteenth century from the reminiscences of his family and those who had known her, such as her former maid of honour, Anne Gainsford. Anne did have a small deformity, which her enemies sometimes delighted in describing as a devil's teat. Wyatt tells us she had a second nail "upon the side of her nail upon one of her fingers", about which she was rather self-conscious, for she took pains to hide it with long hanging over-sleeves, another of her fashionable innovations. Nicholas Sander described it as a sixth finger, as did Margaret Roper, the daughter of Sir Thomas More.